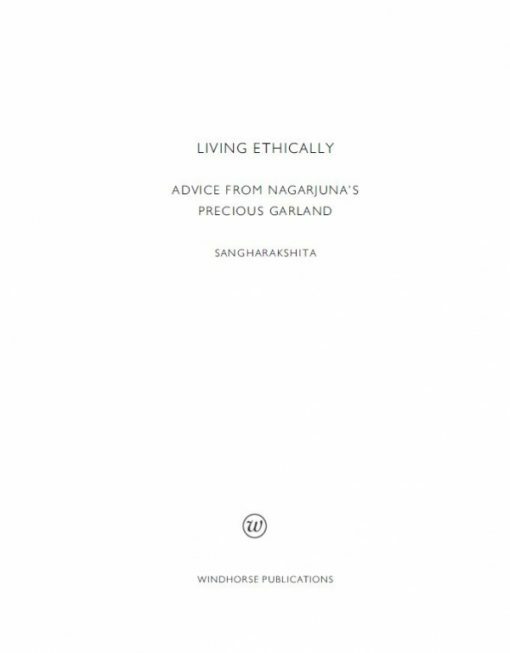 In a world of increasingly confused ethics, Sangharakshita looks back over the centuries for guidance from Nagarjuna, one of the greatest teachers of the Mahayana tradition. 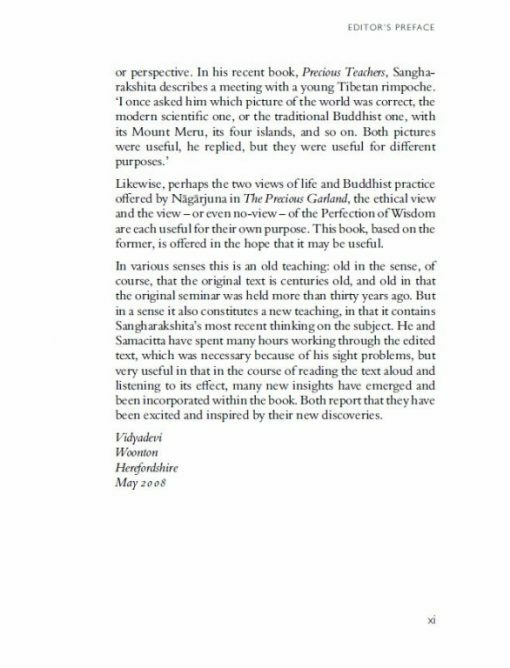 Living Ethically explores the relationship between an ethical lifestyle and the development of wisdom. 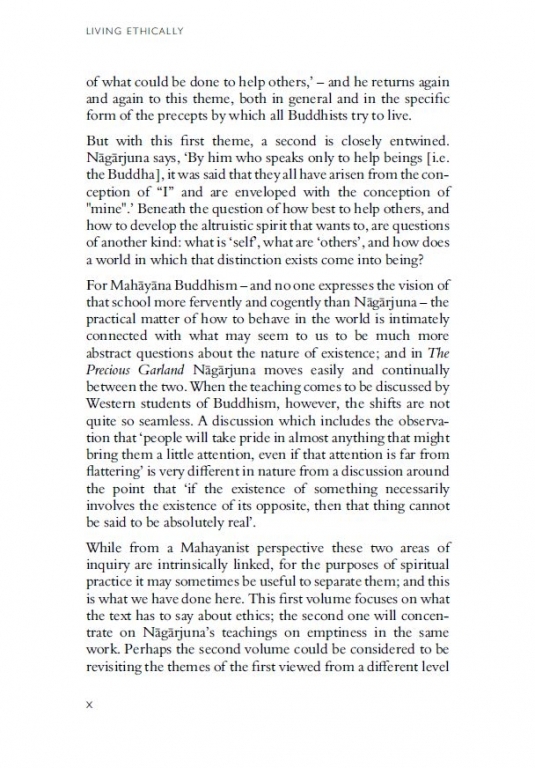 In a world of increasingly confused ethics, Living Ethically looks back over the centuries for guidance from Nagarjuna, one of the greatest teachers of the Mahayana tradition. 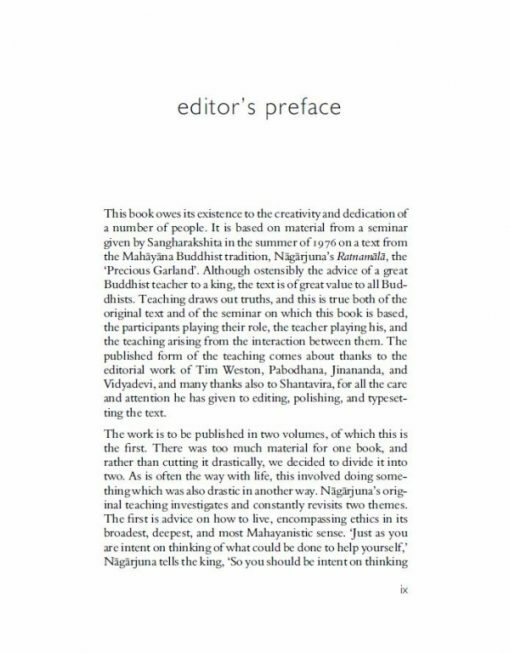 Drawing on the themes of Nagarjuna’s famous scripture, Precious Garland of Advice for a King, this book explores the relationship between an ethical lifestyle and the development of wisdom. 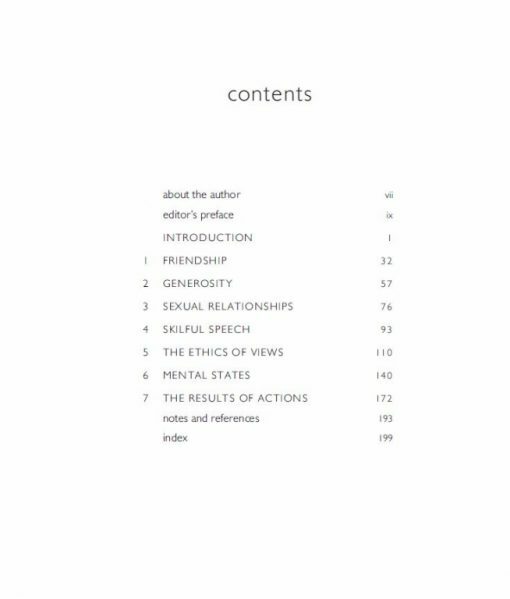 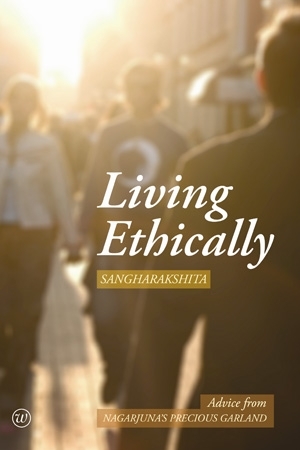 Covering both personal and collective ethics, Sangharakshita considers such enduring themes as pride, power and business, as well as friendship, love and generosity.